The Bach Aristocrat TR500 Bb trumpet has a .460" bore and a yellow brass bell that result in a responsive attack with a broad warm sound. The red brass leadpipe resists corrosion while the durable stainless steel piston material provides smooth and quick action. The 1st valve thumb saddle makes for easy intonation adjustments. The clear lacquer finish provides a subtle warmth to the overall sound. 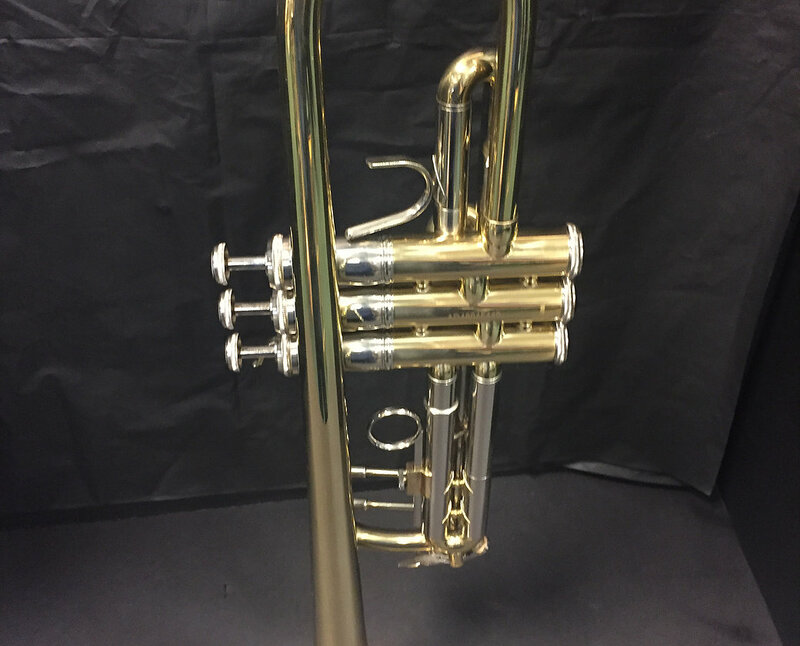 The Bach TR500 is a proven student trumpet design that promotes quick musical development.